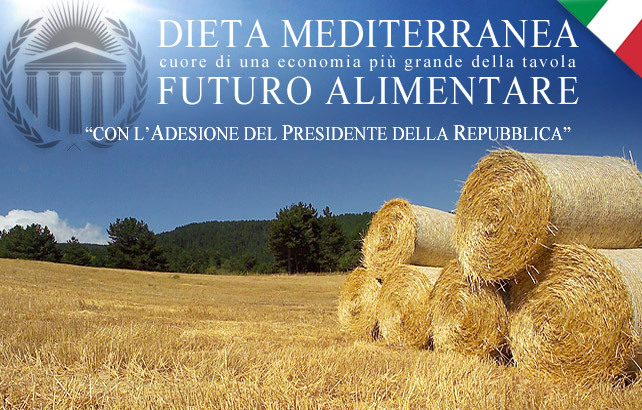 Support of the President of the Republic Giorgio Napolitano at the project dedicated to the Mediterranean Diet meant as the “Food Future “. This innovative project built on web 2.0. was devised by the Foundation “Paolo di Tarso” and supported by the Chamber of Commerce of Cosenza chaired by the Chairman Giuseppe Gaglioti and it foresees a massive and constant information campaign lasting 60 days on web 2.0 in order to enhance Ideas, Traditions and Territory, and SMEs (Small and Medium Enterprises) that produce Food and Products typical of the Mediterranean Diet, which could be placed in the niche of market of healthiness on Table. The project is ambitious and aims, concretely, to transform the Mediterranean Diet into an Economic resource for Italian Economy. For this reason the direction of the work has been entrusted to a “guru” of Food Economy: Prof. Fausto Cantarelli, founder of the Italian Food Academy, firm believer in the idea that the Mediterranean Diet is, in Italy, the capital of the traditions of the 5 Regions of the South of Italy- as asserted by Ancel Keys- but that its use should be a treasure for Italian restaurants, even as mecca of the Tourism of Health and Wellness on the table. In compliance with the support of the PRESIDENT OF THE REPUBLIC, the Foundation “Paolo di Tarso” has built and put on the net a site from which you can follow work, ask questions and join the project. 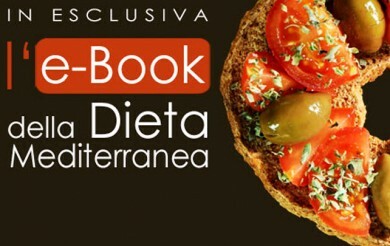 You can follow the work by clicking on www.futuroalimentare.dietamediterraneaitalia.it. The project respects the cultural themes and scientific purposes enunciated by Academic World but ,and that’s the news, it brings on the table concrete products of the Mediterranean Diet, which becomes Economy, Commerce, Job, as evidenced by the Platform Dieta Mediterranea in Tavola, entirely Italian, which aggregates the Agricultural Companies that produce food and product of the Mediterranean Diet that ,through the Internet reach the table of the Citizens who love the healthy tradition. 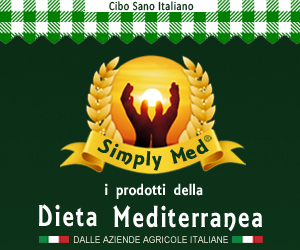 “Dieta Mediterranea Food Future” is sponsored by the Accademia Nazionale della Dieta Mediterranea, Movimento per la Dieta Mediterranea, il Cibo Sano e la Salute, Cybermed.eu the European Portal of Information and Scientific Medical Research, and Dieta Mediterranea in Tavola.